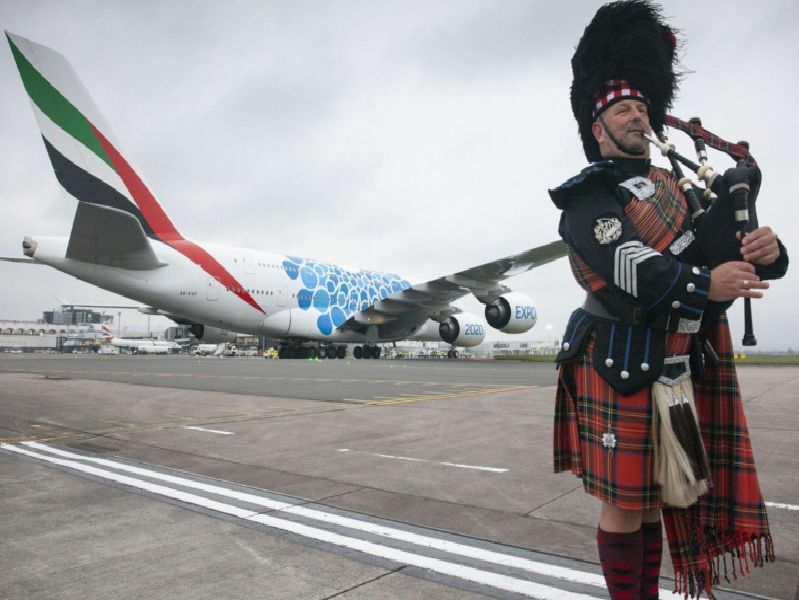 The double-decker plane on Emirates’ Dubai route is likely to provide a boost for the Scottish airport as the A380 will fly the route from June until 30 September, before returning next year. We take a sneak peek inside the 489-passenger behemoth. First class and business class passengers can enjoy a mini spa. Free champagne and a set menu are on offer for business class passengers and above. Because the A380 is so large and heavy, Airbus claim, even in economy youll get a very smooth ride without feeling much turbulence.